PRICED OVER $40K UNDER APPRAISED VALUE FOR QUICK SALE! 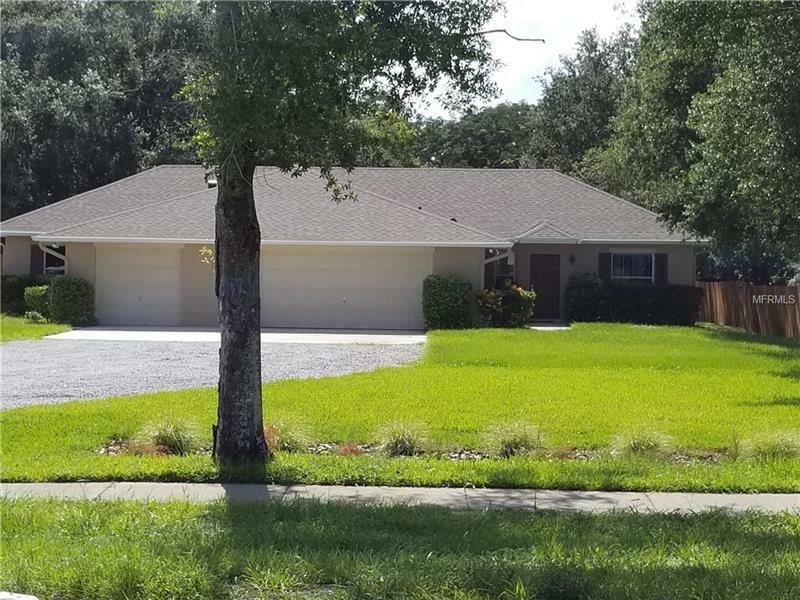 Newly remodeled waterfront home on the Conway chain of lakes with attached, fully updated (2018) mother-in-law suite with new kitchen and granite. Home offers peaceful canal access that leads you to big Lake Conway. Main home has 5 bedrooms, 3 updated bathrooms with granite; there are 2 bedrooms, 2 bathrooms also with granite in the mother-in-law suite. Both units have spacious, open floors plans with beautifully refinished hardwood floors in the main areas and have a view of the gorgeous screened in solar heated pool. This is a solid block home with a huge lot that has plenty of room for parking adult toys and no HOA! Oversized three car garage also provides room for extra storage. There are separate exterior entrances to both living areas to welcome guests. Roof, carpet, paint and drain fields brand new in 2017. There is one door that connects both living areas to offer privacy for all. If you are considering caring for loved one(s), or have a big family and enjoy an active outdoor lifestyle and boating, this is the home for you!